Popeye is a 1980 musical movie starring the late Robin Williams and was filmed right here on Malta. 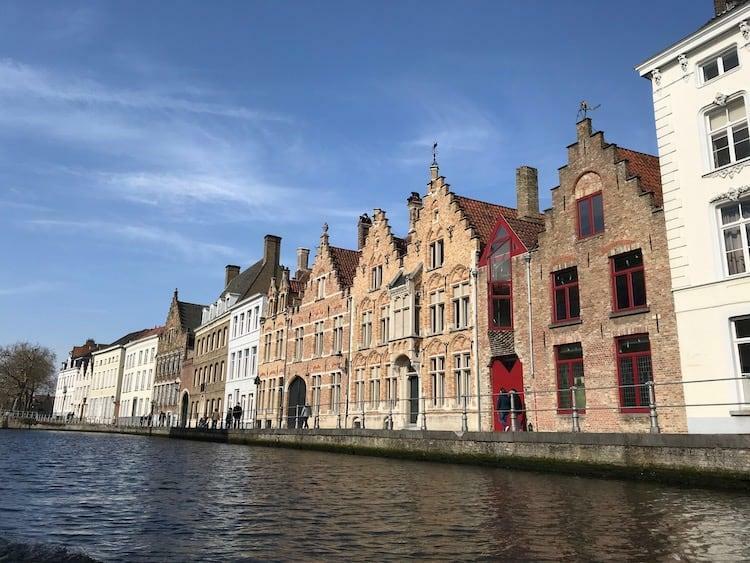 The town of Sweethaven was created from nothing with breakwaters built in the bay and wood imported from Canada to create the buildings. It was reclaimed by the locals after filming was completed and turned into the family friendly attraction you can visit today. 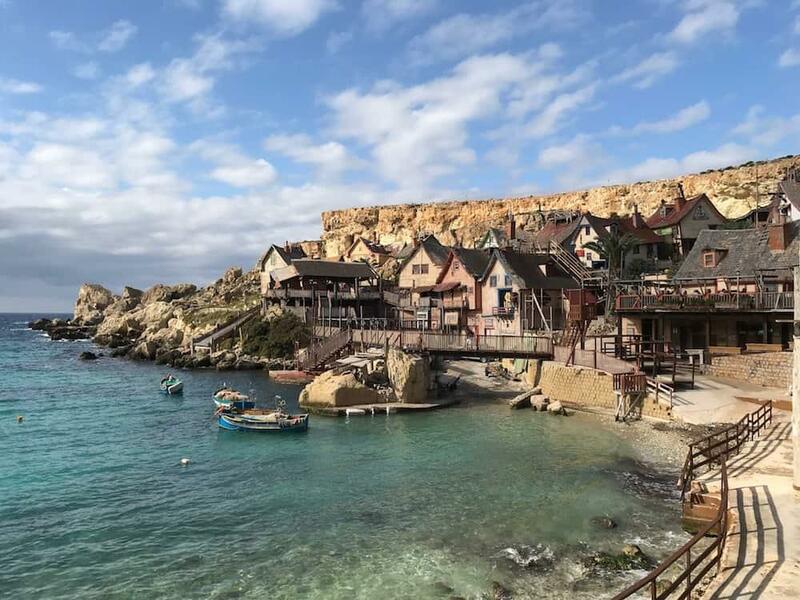 Stepping into Popeye village you feel like an actor starting work for the day. So many of today’s movies are filmed in front of green screens, with the world built on a computer afterwards. Not so back in the late 1970s when constructing the set for Popeye started. 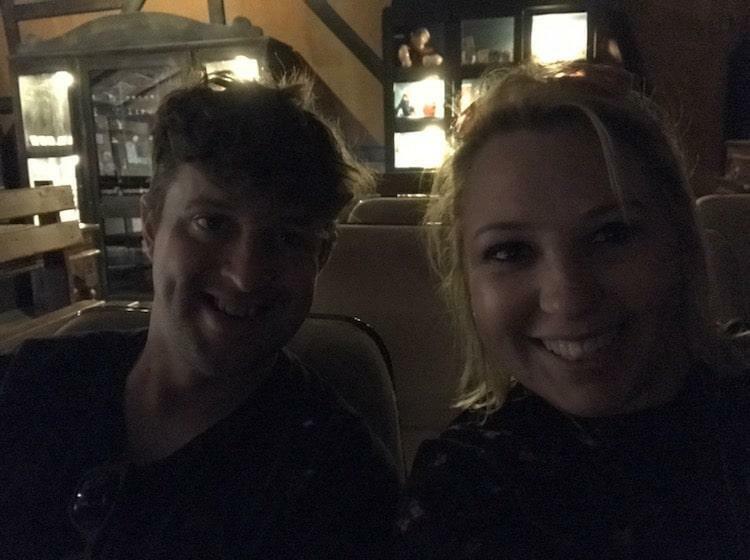 In fact it actually took more time to build the set than it did to film the movie itself! Now that’s commitment to your cause…. 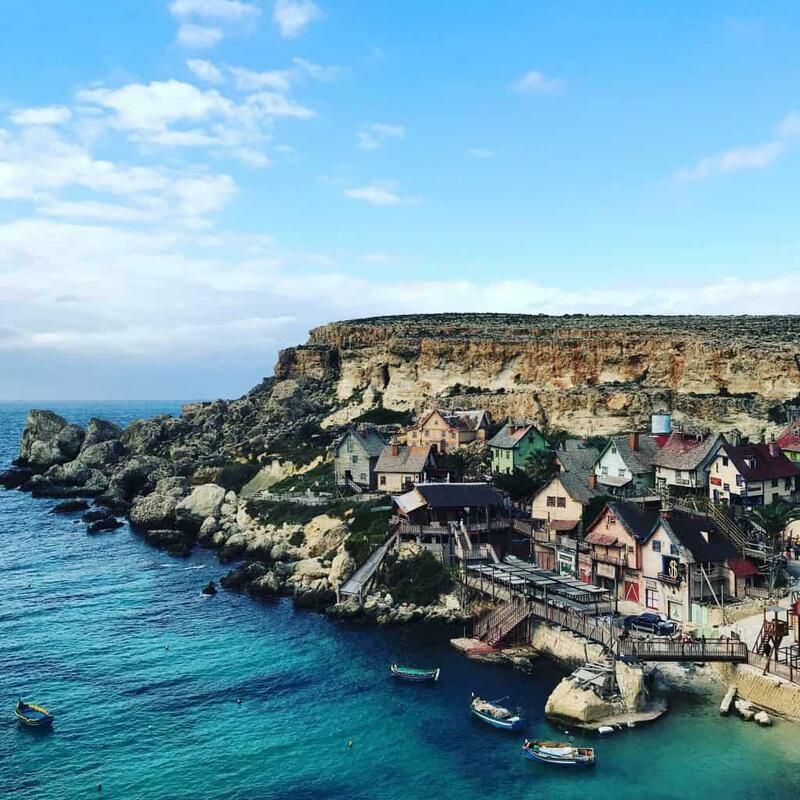 The bright colours, larger than life buildings and mint green waters make Popeye Village the perfect spot to light up your Instagram account. 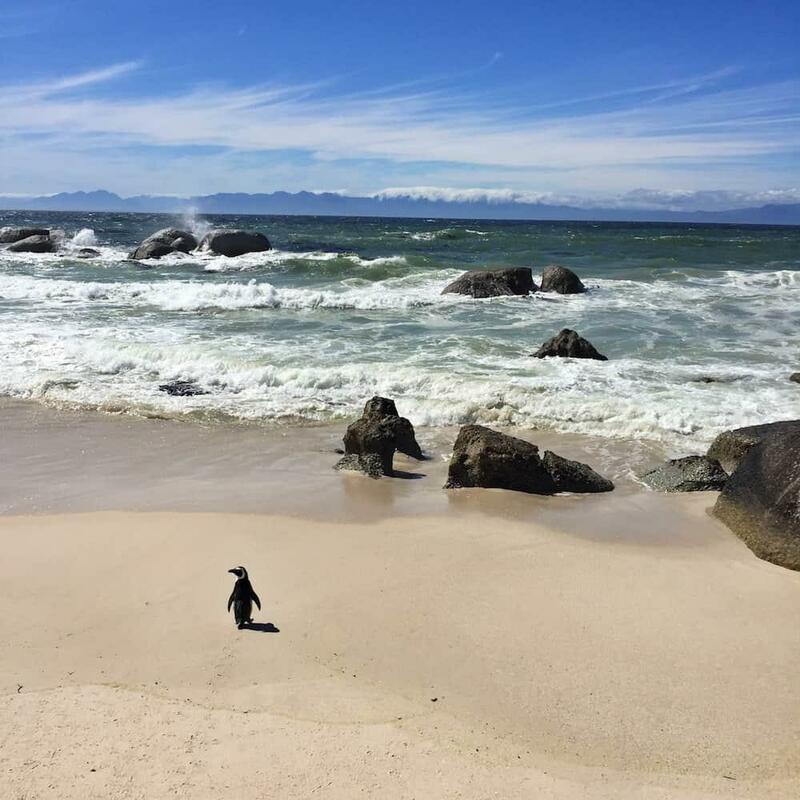 It is almost impossible to take a bad photo here! There are two great places to get a shot of the full village. The first is down by the crazy golf course at the foot of the cliffs. The second and most iconic view is actually outside the village. Take a quick wander up the road to the right as you leave and you’ll get perfect views down over Sweethaven from the opposite clifftop. Stop and refuel at ‘Tipsy and Son’s Winery’ which is about halfway up the main street of the village. Big wedges of cake at €2 were the order of the day for us, enjoyed on a raised deck in the sunshine looking out over the bay. 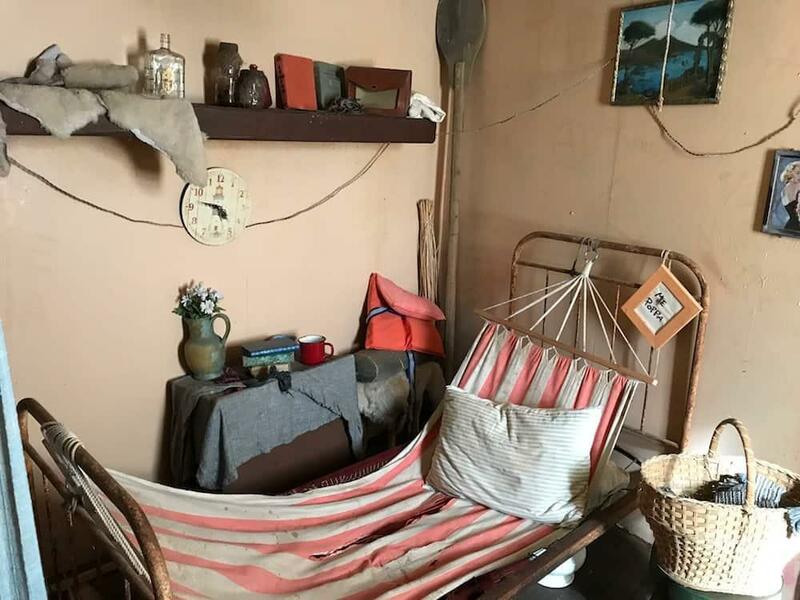 Unfortunately we didn’t take any photos of the mega cakes, so you’ll have to make do with a piccy of Popeye’s bedroom instead! When you have a mini-golf obsessed wife like I do, you get fairly used to working your holidays around finding the best local course. Most attractions make you pay extra to play, what a nice surprise for this one to be thrown in as a free bonus! After after becoming so familiar with the set my brain went searching deep into its archives to try and remember details of the Popeye movie. I hadn’t seen it for years! 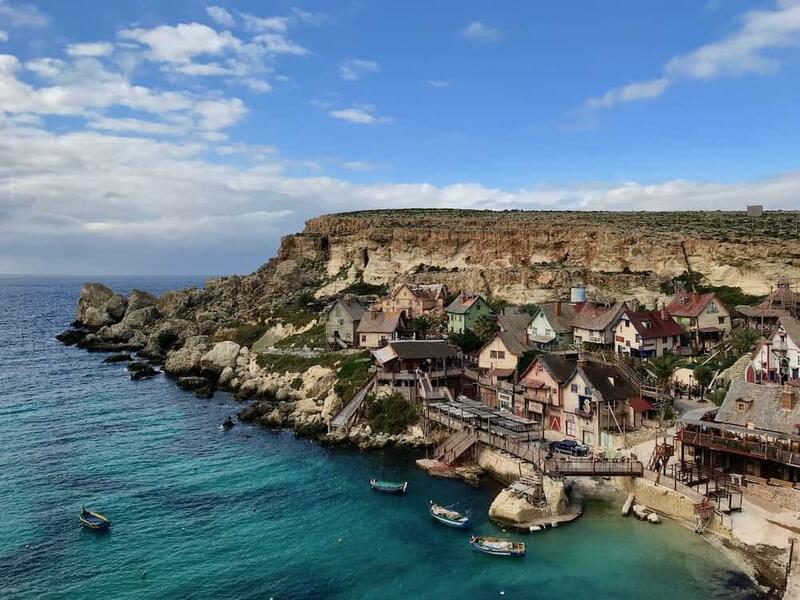 There are a couple of places in Popeye Village where the film is playing, so take a weight off for a while and settle down to the rather surreal experience of watching a movie filmed in the place you are watching it! 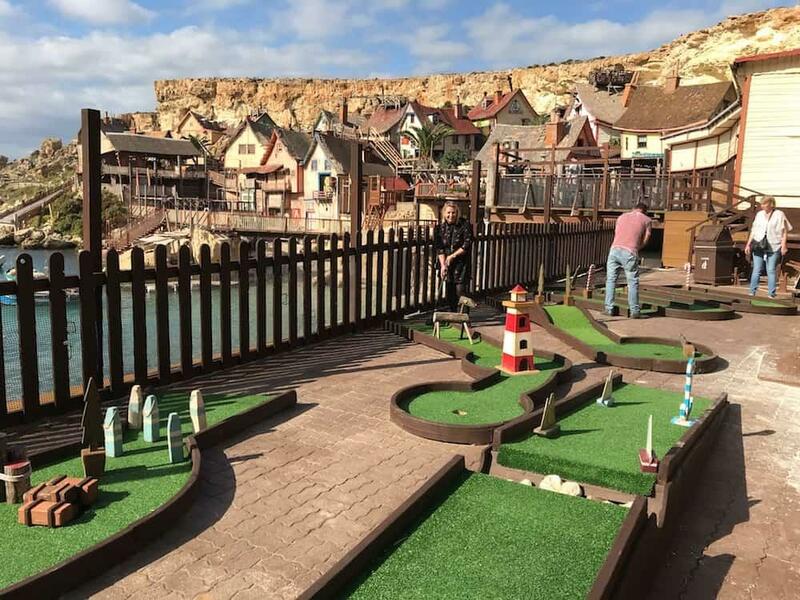 The Official Popeye Village Website – Visit here for latest price information and updates. 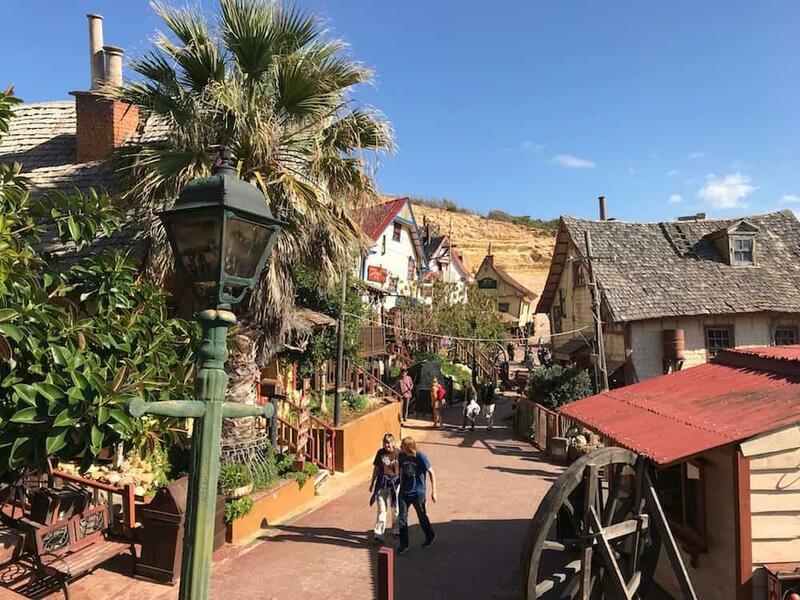 Popeye Village, Vintage News – A great article about the history of Popeye Village.